Below is our selection of food supplements. These have solid scientific evidence behind their efficacy. Please call the clinic on 01386 853884 or fill in the form below to order your supplements. Veterinary Topline is a Complementary Feed for horses containing a high concentration of Amino Acids, as well as the important antioxidant Vitamin E.
The amino acids derive primarily from a pea protein isolated by selective precipitation. Amino acids are essential for the formation of muscles through protein synthesis. Vitamin E is a fat soluble antioxidant which protects muscle cells from the damaging effect of free radials. We recommend feeding this supplement to maintain and improve muscle mass during periods of intensive exercise or competition, during rehabilitation following injury, for underdeveloped horses, and during periods of pre-training or sales preparation. Gastric Aid is formulated to help horses with gastric disturbance. Formulated with prebiotics, amino acids, seaweed extract and minerals. This is to help horses with, or prone to, gastric ulceration. Veterinary Joint Aid Elite is for the nutritional maintenance of healthy cartilage in the joints of horses in training and competition work. Veterinary Joint Aid Elite contains Boswelia Serrata, a readily available herb, blended with Chondroitin Sulphate, Hyaluronic Acid, Glucosamine HCI (99% pure) and MSM. This is a viable alternative to those horses on long term ‘bute for mild pain relief. As well as for those horses in competition. Blood Tonic is a highly absorbable and extremely palatable Iron, B-complex and Cobalt-enriched syrup on a Sorbitol base. Blood Tonic is an exceptional pick-me-up for post viral uses and post-operative cases where horses may have lost appetite or for horses which have poor overall condition. High levels of Vitamin B12 ensure red blood cell formation is and important metabolic functions are maintained. Veterinary Hoof Aid is a superior feed supplement for horses with poor hoof condition. The Biotin level is 80g per serving ( vs 0.02g in closest competitor). 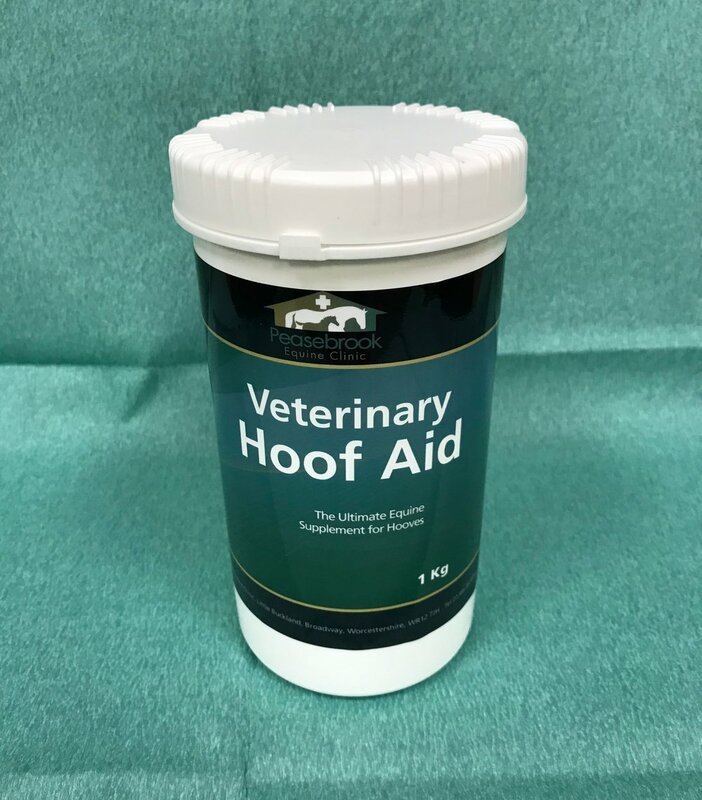 Veterinary Hoof Aid provides all the nutrients necessary to protect and nourish every layer within the hoof horn. This Sulphur enriched formula, also boasting significant levels of Methionine, MSM and Zinc, will ensure that important nutrients are supplied to the horses’ diet, to optimise hoof growth and improve the integrity of the hoof. We guarantee customer satisfaction when horses are taken through the full recommended 150 day course.